Sunday, November 21, 2010, 7pm, South Orange Performing Arts Center, South Orange, NJ. Saturday, November 20, 2010, Jonathan's Restaurant, Ogunquit, Maine. Friday, November 19, 2010, The Katharine Hepburn Cultural Arts Center, 300 Main Street, Old Saybrook, Connecticut. Thursday, November 18, 2010, 8pm, The Barns at Wolf Trap, Vienna, Virginia. Tuesday, November 16, 2010, 8pm, The Ark, 316 S. Main Street, Ann Arbor, Michigan. Monday, November 15, 2010, Evanston SPACE, 1245 Chicago Avenue, Evanston, Illinois. Left to right: Keyboard Wizard keyboardist Stephan Oberhoff, singer/songwriter/pianist Melissa Manchester, and Keyboard Wizard creator Paul Nahay, just after Melissa and Stephan's performance at The Barns at Wolf Trap, Vienna, Virginia, on Thursday, November 18, 2010. Keyboard Wizard enhances the Golden State Pops Orchestra, in their "Halloween Fright Night" concert. Conducted by Jeffrey Schindler, and featuring his wife, mezzo-soprano Bonnie Schindler, the concert features a rare performance of Erich Wolfgang Korngold's lush and evocative tone poem Tomorrow, Op. 33 for mezzo-soprano, women's chorus and orchestra. 8pm, at the Warner Grand Theatre, 478 W. 6th St., San Pedro, CA 90731. The keyboardist is John Sawoski, who uses Keyboard Wizard to play synth, organ, celeste, tiefe glocke (deep bell) and female choir parts (from Quantum Leap Symphonic Choirs), simultaneously, live. As an example of a complex problem which was solved with Keyboard Wizard, the Korngold piece in the video at www.youtube.com/embed/jt4ZscwRNaA required me to play several parts at once, in real time: Tiefe Glock, Low Tubular Bells, Celeste, Organ, and Female Choir. The parts were condensed to their least-common rhythmic element into the Keyboard Wizard part on the bottom two lines of the attached score, and mapped to the appropriate sound libraries and modules, producing all the parts with a single keyboardist. On that score, you can see circled asterisks, indicating where the keyboardist would need to switch between steps (a step being a collection of note-mappings, layers, splits, or individual sounds). At some point I decided that it would be best to use Keyboard Wizard's "Auto-Change Trigger" feature to have the computer make some of the switches for me, and it did so flawlessly, by "listening" to the music (actually interpreting a series of notes and chords played via MIDI), and changing steps at the exact instant required. Keyboard Wizard enhances all 56 performances (8:30pm to 10:30pm, seven nights per week) of the 2010 Pageant of the Masters show "Eat, Drink and be Merry", part of the annual Festival of Arts in Laguna Beach, California. Both orchestral keyboardists, John Sawoski and Peter Herz, use Keyboard Wizard, running on Windows 7. The Keyboard Wizard screen is to the left of the music stand. Keyboard 1 setup, with Keyboard Wizard running on Windows 7 on both a laptop (left) and a desktop (right) computer. The laptop serves as a backup, which remains in sync with the main (desktop) machine. One press of a MIDI key toggles between the two Keyboard Wizard instances, assuring that "the show goes on" even if something goes wrong with the main computer. The MIDI keyboard triggers Keyboard Wizard, which in turn triggers virtual instrument libraries (not pictured) running on both computers: Kontakt4, Quantum Leap Pianos, Quantum Leap Gypsy, EastWest FabFour, Quantum Leap Symphonic Orchestra, ToneHammer Circle Bells, ToneHammer Propanium, and others. Keyboard 2 setup, with Keyboard Wizard running on Window 7. Keyboard Wizard enhances the Civic Light Opera of South Bay Cities production of Seussical, at the Redondo Beach Performing Arts Center, Redondo Beach, California. (Eric Idle, Seussical co-conceiver, saw the production on Saturday, December 19, 2009, and said it was better than that produced on Broadway!) John Sawoski is the keyboardist. Keyboard Wizard in the pit, enhancing Seussical. Keyboard Wizard enhances the California State University at Fullerton ("Cal State Fullerton") production of Miss Saigon, in the Little Theatre. Keyboard Wizard runs on a Windows XP machine, and takes its input from, and processes output sent to, a Kurzweil PC3X keyboard. Peter Herz is the keyboardist. Keyboard Wizard enhances all 55 performances (8:30pm to 10:30pm, seven nights per week) of the 2009 Pageant of the Masters show "The Muse", part of the annual Festival of Arts in Laguna Beach, California. John Sawoski is the keyboardist. See Broadway Performance Systems, Inc.' printed program credit here (image is 2MB, credit is in lower left corner). 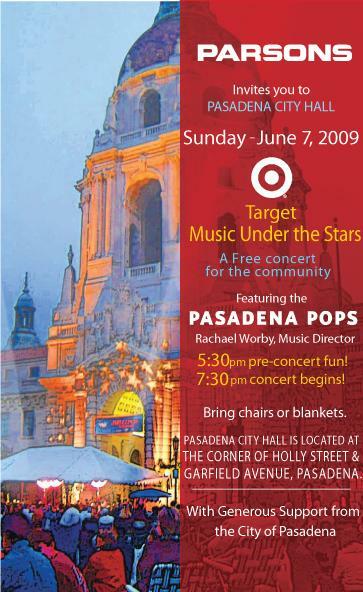 The Pasadena POPS, Rachael Worby, Conductor, at Pasadena City Hall, Pasadena, California, 7:30pm, in a Music Under the Stars concert sponsored by Target. John Sawoski is the keyboardist. I used Keyboard Wizard with good success on last night's Michael Feinstein/Linda Eder concert at the McCallum Theatre in Palm Desert. Although the requirements for this show were fairly simple (mostly single patches with only a couple of splits, transpositions and velocity tweaks), setting up the patch list on my MacBook Pro was far more convenient than navigating an LCD screen on the front panel of my keyboard controller. And I assigned bookmarks for the three most-used patches in the show so that I could grab them instantly. Note that I didn't have power to my rig until barely 30 minutes before the start of rehearsal, yet I was able to create the entire Keyboard Wizard routing setup quickly and painlessly. In the past I've done shows like this entirely on one synth simply for the convenience of accessing only on-board patches. But because Keyboard Wizard makes communication to external modules so easy, I brought a Muse Receptor and Roland Fantom-XR, with an RME Fireface 800 as the interface. It was a big sonic upgrade, and the music director was thrilled. Wizard: The Music Of Oz Composer Harold Arlen, a musical revue about the life of composer Harold Arlen, featuring the Sam Arlen Orchestra and "George Bugatti's, Three Crooners", with choreography, The Sierra Ballroom at Del Webb Sun City, in Palm Desert, California. Two performances, 4:30pm and 7:30pm. Produced by Stage Shows International. John Sawoski is the keyboardist. Original broadcast date for USA Network's Episode 106, "The Ex-Files", of The Starter Wife, which starts off with the "Hello, Dolly!" fantasy that Keyboard Wizard was used on during the show's scoring session on July 29, 2008 (see below). American Reflections: Broadway in Concert performances in celebration of the International Exchange Month and the 50th Anniversary of the Founding of Shandong College of Arts, Jinan, China. Photos: 1) Concert poster, 2) Keyboard Wizard in the pit, 3) Outdoor concert curtain call, 4) Photos posted by Shandong College of Arts itself. John Sawoski is the keyboardist. American Reflections: Broadway in Concert at Santa Monica College Main Stage, Santa Monica, California. Performances September 26, 27, October 3, 4 at 8:00 pm, September 28, October 4, 5 at 2:00 pm. John Sawoski is the keyboardist. Scoring session at Entourage Studios, North Hollywood, California, for The Starter Wife (Episode 106, "The Ex-Files", which starts off with the "Hello, Dolly!" fantasy, originally broadcast Friday, November 7, 2008) for the USA Network (while the 5.4 magnitude Chino Hills earthquake hit Los Angeles at 11:42am!) Keyboard Wizard run on a MacBook Pro, and reinforces the live strings and brass. John Sawoski is the keyboardist. Keyboard Wizard enhances Keyboard I for all 53 performances (seven nights per week) of the 2008 Pageant of the Masters show "All the World's a Stage", part of the annual Festival of Arts in Laguna Beach, California. John Sawoski is the keyboardist. The Pasadena POPS, Rachael Worby, Conductor, at Pasadena City Hall, Pasadena, California, in a "Music Under the Stars" concert. It was used to perform piano, harp, and guitar on: Star Spangled Banner, Pops Hoe-Down, Porgy and Bess "Summertime", Can You Feel the Love Tonight, Armed Forces Salute, "Mambo" from West Side Story, American Salute, Star Wars Suite: The Imperial March (Darth Vader's Theme) and Main Title, The Stars and Stripes Forever, America the Beautiful, Deep River, The Sound of Music (excerpts), Battle Hymn of the Republic, and Gettysburg Main Theme. John Sawoski is the keyboardist. The Capistrano Valley Symphony, David Matthies, Conductor. It is used to perform piano and harp on Intermezzo from Cavalleria Rusticana, Romeo and Juliet Overture, Saturday Night Waltz, Dance of the Hours, The Blue Danube Waltz, Aaron Copland's Hoe-Down, Armed Forces Salute, Beach Boys Medley, What a Wonderful World, and The Stars and Stripes Forever. John Sawoski is the keyboardist. Keyboard Wizard used in the pit at the Dorothy Chandler Pavilion, Los Angeles, California (former home of the Academy Awards ceremonies) where it enhances the keyboard in the orchestra accompanying the 20th Anniversary Spotlight Awards, hosted by actor Tony D'Anza, with David Benoit as a celebrity judge. John Sawoski is the keyboardist. The national tour of Wizard (formerly, The Wonderful Wizard of Song), co-written by American Idol producer Nigel Wright. John Sawoski is the keyboardist. Light classical concerts by the Capistrano Valley Symphony, San Juan Capistrano, California. John Sawoski is the keyboardist. A private benefit performance at the Beverly Hilton Hotel, Beverly Hills, CA, backing former The 5th Dimension singers Marilyn McCoo and Billy Davis, Jr., as well as singers Michael Feinstein, Kathy Lee Gifford, and Miss America 2007 Lauren Nelson, in an evening hosted by Everybody Loves Raymond actors Brad Garrett and Ray Romano. John Sawoski is the keyboardist. Keyboard Wizard has its public premiere at the Dorothy Chandler Pavilion, Los Angeles, California (former home of the Academy Awards ceremonies) where it enhances the keyboard in the orchestra accompanying the Spotlight Awards, hosted by actor John Lithgow (hear it filling in harp and bassoon on "The Light in the Piazza"). The production was broadcast over KCET-TV (PBS) in Los Angeles on Dec. 29, 2007. John Sawoski is the keyboardist.